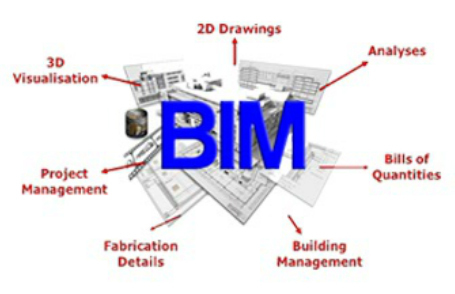 It is commonly accepted that BIM in meaning refer to Building Information Modelling, or in another way is a digital representation of physical & functional properties of an asset creating an important shared knowledge resource of data, that creates a reliable basis for decisions during the life cycle of the asset, from its earliest inception, on through its different cycles of development/maintenance & if when needed it’s decommission. The BIM technology has widely become as a useful language and toll for the engineering companies that aim to enhance their output and to match the market need of satisfying efficient management disciplines; cost, time, & quality that BIM achieves. Believing in VOID Architects resources and its qualified staff that are professionally well qualified, Void BIM HOUSE was established to serve in applying the BIM technology through its provided services that are strictly integrated with the engineering market demand. Depending on the BIM, the process which is a combination of the state-of-the-art technology and collaboration of team provides a base for different construction process players like, clients, designers, contractors, and facility maintainers etc., involved in construction to analyze, design, view and take corrective actions before, during and after the construction process. VOID BIM HOUSE’s expertize, experience and its various wide range of services in BIM Implementation enables the construction players take quick decisions accurately. VOID BIM HOUSE is one of the leading companies to provide BIM services. Its strategy depends on how to understand the requirements for each project and try to follow the best way for strengthen the aimed objectives and avoiding the risky issues at an early time stage. Emphasizing on applying a fully integrated coordination between all engineering construction trades to reach an organized work flow from the early start till finalizing the project. - Integrated BIM. Models for all engineering Disciplines. - Coordinating between all trades and services. - Running and solving clashes detection. - Design and Construction Drawings. - Bill of Quantities & Material Take off. - Generating as-built BIM. Models. - Technical Support for other companies.